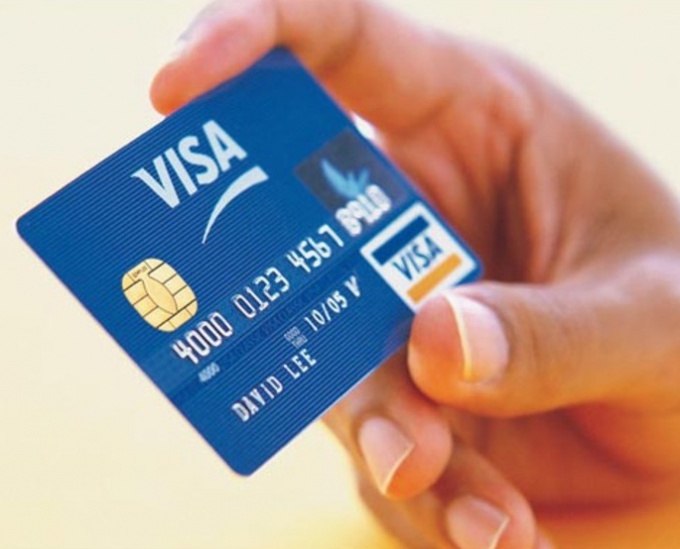 Often the owners of cards Visa there is a need to specify how much money they now have on account. It is not always convenient to find an ATM or go to the Bank branch that issued the card. Some banks for cases such as this offers a check the account balance on its Internet website. How to check the balance right? Get information about how can you use the "Internet Bank". For this you need to contact one of the branches of your Bank and find out whether this financial institution such service. If it is, specify its value. Usually Internet banking is included in the room service card. If Internet banking of your Bank has to sign a special supplementary agreement to the contract on opening of the account. Also, the employee will issue you a login and password for your first login. On the Internet, find the website of your Bank. From the home page go to "Internet banking". Enter in the required fields login and password. If required by system, change it after first log in to your account. Open section on your account balance. If you have multiple accounts, identify the one that is bound to your Visa card. This account number is listed in your contract for the card. In this section you will see the balance of your card. If it is shown with a minus sign, it means that you need to Fund your account. If your Visa card - credit, in your account you will see the amount of the minimum payment and the date when it must be paid. Knowing your card balance, be sure to click the "Exit" button to leave your account. If you do not, the browser can save your password, and your page can access an outsider. This is highly undesirable, as using the Internet Bank you can not only check balance and transfer money to other accounts. Before you can view the status of your Bank account through the Internet, check your computer for viruses. There is malware that can kidnap and transfer to third parties your passwords from online banking that could lead you to lose money. In order to know the balance in your Bank account, you don't have to defend the endless queues in Bank offices. Similar operation can be performed more easily. Bank card, telephone, Internet access. Clarification of the balance on credit card via Internet banking. 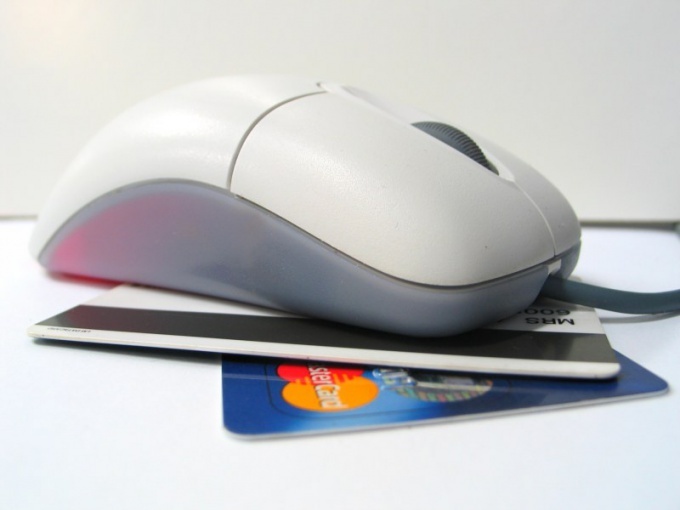 Most modern banks provide the possibility of client's account through the Internet network. In order to know about the balance of funds in the Bank card, you simply log into your account on the Bank's website and see relevant information. Here you can also transfer money to other accounts, pay utility bills and other accounts. Clarification of the balance on the Bank card through a call to the Bank. Today every Russian Bank there is a separate phone line, calls which are free of charge for citizens of all regions of Russia. Calling the Bank, wait for a response from the Manager and go through the identification procedure. If you give the Bank employee the right answers to the questions you will be able to obtain information about the status of your account. Never call the Bank clerk the pin code from your card. You can also check the balance on a Bank card, using the nearest ATM. To do this, insert the card into the device and enter the pin code. Once you get to the main menu, request information on your account. Draw your attention to the fact that, as a client of one Bank while checking the balance on the ATM of another Bank, your account will be charged a fee in the amount of one hundred roubles. If you want to save money, check the balance on the card only the devices supported by your Bank. More and more companies transfer part of their business online. Now clients of Sberbank became available Internet service. It is now possible without visiting branches of the savings Bank, without wasting time in queues, and sitting home at the computer, to carry out various operations with their own money. You can transfer money to other accounts, paying for utilities and telephone, to extinguish credits, to check the status of your account. But to get the opportunity, you need to connect the service "Sberbank Online". Map of the savings Bank passport. Connect the service "Mobile Bank". This can be done in some terminals of the savings Bank or in a Bank, where you will be asked to write a statement. For this service, you will have to remove the monthly fee of 30 rubles (if you have a Maestro or Visa Electron) or 60 rubles (if you are a holder of Visa Classic or MasterCard Standard). Complete the application for service connection "Sberbank Online" in the savings Bank Department. This will give you the opportunity to use online services with maximum functionality. You will receive a password. After the service "Mobile Bank" will be activated (this happens during the day, and you will receive a message about it on the phone, send a SMS to number 900 to the following: the password XXXXX, where XXXXX is the last five digits of your card number. In reply SMS you will receive a password and a phone number to get the ID. Get the user ID of the employee of the savings Bank, by calling the telephone number received in the SMS. Go to the website of "Sberbank Online" at: https://esk.sbrf.ru. Log on to your personal page using the ID and password. View the status of your account. To obtain a user ID and password in some ATMs of Sberbank. Their addresses in your city you can in the Bank. Modern life in big cities makes the usage of plastic cards more relevant, safe and convenient compared to cash. Making a lot of purchases, you should always monitor the costs in order not to be bankrupt. The first way to check the balance of Visa cards and several other cards, for example, MasterCard has an ATM. While it is best to use "native" ATM i.e. ATM of the Bank. Otherwise, such operation as checking accounts, ATM of another Bank may charge you a Commission without notifying the holder of the card. 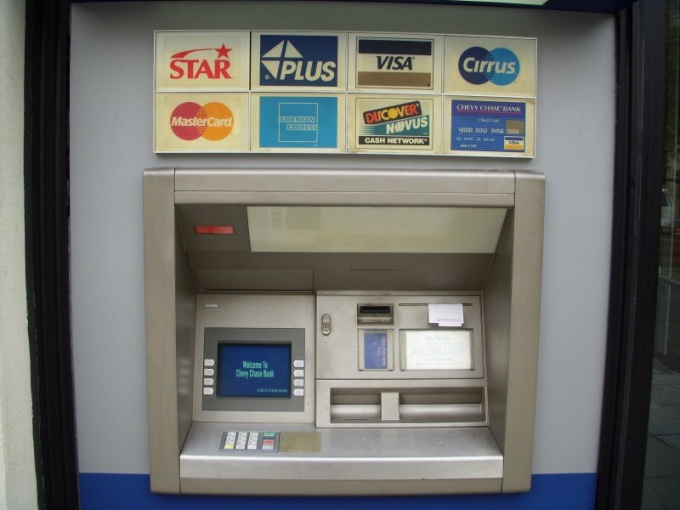 Once you have found your Bank's ATM insert the card into the card slot. Take a map so that designation of the VISA was under the thumb of your right hand. When you do this, otherwise the card simply will not fit into the hole. After loading the card into the card slot, you must enter a secret pin code. Usually it consists of 4 digits that you need to know by heart. It is not recommended to keep code together with the card and especially never write your pin on the card itself. After entering the pin code, select the screen function. Usually it's called "Check balance" or "Balance". The screen will display information about the status of the account card. Some ATM withdrawal receipt, which also shows the balance of the account. The second method of checking the balance ofa Bank card is Internet banking. This service is provided by many banks and allows you to view information about the customer's account via the Internet. Internet banking rarely connects automatically - usually you need to contact the Bank, the holder of a card where you are. Or will need to apply for a new card, an option Internet banking which is already installed by default. To view information about the balance on the map, you should find the category of "Internet banking" or "Internet Bank" the Bank's website and enter a room cardand the secret pin code (sometimes the special pin-2 issued by the Bank when you connect this service). The connection happens through a special encryption over HTTPS, so the data about the number of the card and its pin code will not get anywhere. 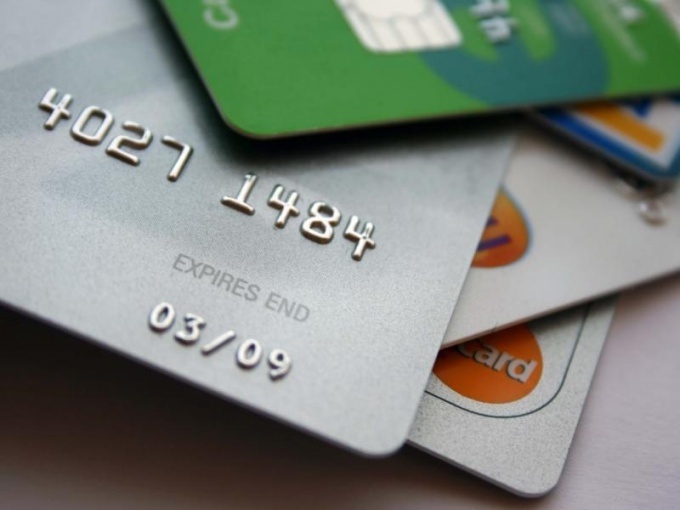 Today, there are many ways to clarify information on the card balance. For active users of the Internet to find out the balance of funds on the card and not leaving the house. In order to know the availability of funds on the card, you need to find an ATM the credit institution that provided you with it. With the help of a plastic card and a pin you enter in the system. Selecting a field in the "balance Inquiry", you can check the balance on the account. The system will ask you to determine the method of withdrawal: on the screen or print receipt. If you have Internet at home, you can use the new service for financial institutions - Internet banking. To login you need to register on the website of the Bank and come up with a secure password and username to protect your account from hacking scams. In the menu you should choose "Balance on account". With the new service, you can see the latest activity on your card,transactions on your account - how much was removed and where. You can also make a transfer between your accounts or transfer money to a foreign account to pay for a number of goods and services. Another way to check your card balance is to call the Bank specialist contact number. To provide information You will be asked for your name, the contract number or the card number and secret word that you made up when you signed the credit agreement. In addition to a Bank employee to give you information about the balance on the account and the automated system. For this you need to contact the Bank the contact number to transfer your phone in tone mode using buttons with the image of a grid or stars, and follow the instructions, select the operation number corresponding to the check card balance. 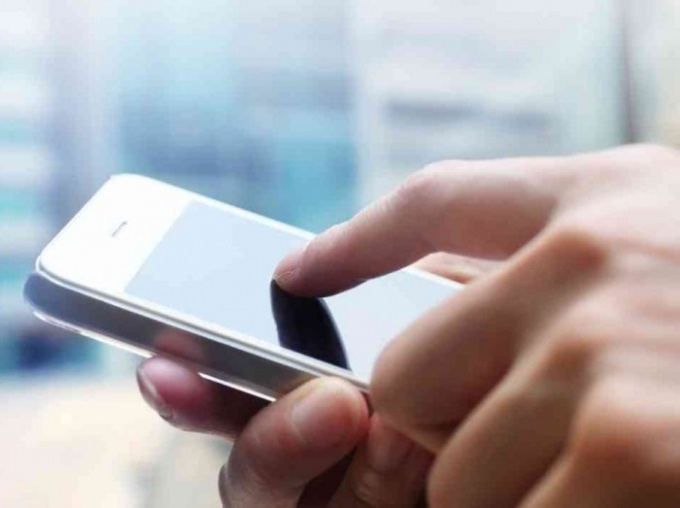 In some banks you can connect the service "Mobile payment", where all transactions occurring with the map, you will be notified via SMS messages. Also, SMS can be read and the account status. For example, owners of sberbankovskuyu card associated with a mobile number, you can just send to number 900, the word "balance", and in a few minutes the answer will come. Now almost everyone has a plastic card. In order to know how much money on it, there are three ways. You can check the balance via ATM, Internet, pre-activating the service Internet banking or come in person to the Bank and ask Bank employees a sum of money, located on the map. - the agreement with the Bank. To check the balance on the card at the ATM. Make sure that it belongs to the Bank where you opened your Bank card. Insert the last into the card slot. Enter the PIN code (sent by mail or issued by the Bank together with plastic card). On the monitor of the ATM, click "Balance" or other designation similar in value (at different ATM check card balance may be referred to differently). Select the output amount on the screen or on the receipt. Confirm the operation. Each Bank has its own page on the Internet. Go to the website of the Bank where you started the map. Click "Register". Enter your personal information, card number and account. Specify your cell phone number. Login to the site you may come up with themselves, but the password will be sent to you via SMS to your mobile phone. Enter data to enter the site under your login and password. Once you will be in your account, you on your telephone will receive a call from a customer support agent. The latter will specify the necessary information that will tell you what you need to do to identify. Click on the tab online services connect Internet banking. In some banks you need to appear in person at the office and confirm your desire to conduct operations with banking cards via the Internet. Click on the "Check balance". Confirm the operation. On the computer screen will show the amount on the card. In the absence of ATM and the Internet come personally to the Bank. Present your passport, the details of the cards and say the code word (invented in the contract). Inform Bank officer about your desire to learn the card balance. Bank employee will give you a receipt and asked to sign the receipt information. The balance of any Bank card can be checked from the comfort of home. However, for such an operation, you need to make a few preliminary actions. Importantly, the need for access to information about the credit card balance is a username and password to log in to your personal account. To obtain this data, you can apply for the card at the Bank by the hotline, or forming their own. Please note that the operations are in different banks is different. On receipt of username and password should be taken care of in advance. Go to the official website of the desired Bank. Select the tab "Internet Bank". The system will redirect you to an additional page where relevant strings you need to enter your username and password. In the opened window you will see several sections, including a link to your card balance. In addition, the Internet Bank, you can track all transactions that have occurred on your account, shopping history and replenishment, as well as to make the required payments. In Internet banking you can change your personal details, and change the valid username and password. This data is better to record separately and put in a secluded place. Otherwise, you may encounter a situation where you need to check the balance, and recovery information for access will take quite a long time. Such problems are rare. Basically the username and password sent as a SMS request to the hotline of the Bank. In this case, you will need to answer questions of experts, report personal information and control (secret) word. One of the most popular services is the installation of the phone application "Mobile banking", thanks to it you can check the balance of your card at any time. The first time you use the service you will need also confirm that you enter your personal account username and password, and on subsequent visits, the system will not query this data. Hard to find someone who doesn't know what a plastic card. After all, every day the number of regular clients of various banks is increasing and it means, that each holder of a debit or credit card should know how easy and simple to check the balance of your account. To check the balance of Bank card account through nearest self-service terminal. Typically, such equipment can be seen directly in the Bank, but sometimes there are exceptions. Go to the ATM and insert the card into a special receiver. To activate it, you need to enter a PIN code, which is issued upon receipt of the card. Next, select the desired menu: "balance inquiry". You can watch the account balance on the ATM screen, or you can request a check. If your Bank provides the mobile banking service, test the card using the telephone number which must be attached to your card number. Send a request for the transaction via a text message, typing a specific code to a short number. You should consult any Bank branch, as this service can be paid. 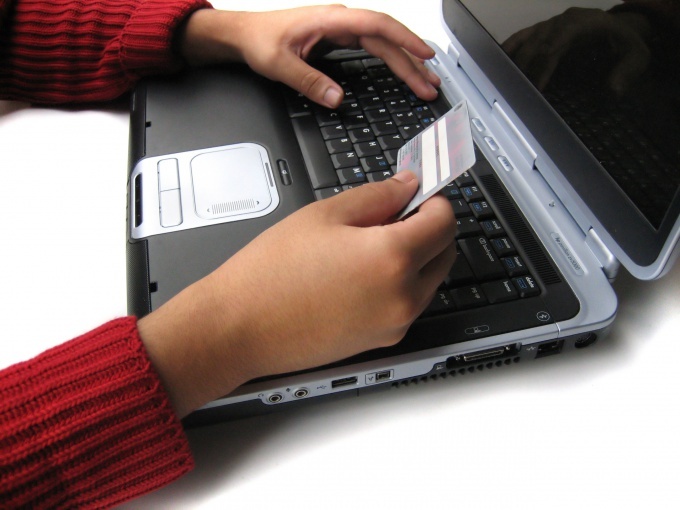 If you have computer and Internet access, you can find out account balance in the simplest way – through the site. Unfortunately, not all banks can provide this opportunity. So it is important to find out if such a service. In any case, you have to register on the official website of the Bank, only then will it be possible to know the cash balance. Go to the Bank website via the Internet, log into your account using the username and password. Next, you need to select the corresponding menu, then the screen will display the remaining amount of the card. In the case where there is no possibility to use Internet, mobile banking service and the terminal, there is only the last method, which is available to everyone and free of charge, is to call the hotline. Dial the number the operator ID of your city, to find the phone you can at any branch. The operator gave you consent to receive confidential information, you will need to disclose your personal information: name, surname and patronymic name, number of your card (indicated on the front of the card), the key word you used when registering the card in your name. Some banks do not offer mobile banking service, or it can be paid. So keep in mind that each month your account may be deducted a certain amount. If you don't know or remember the PIN code of your card, you should contact any Bank branch. Be sure to take your passport and the contract registration card in your name. 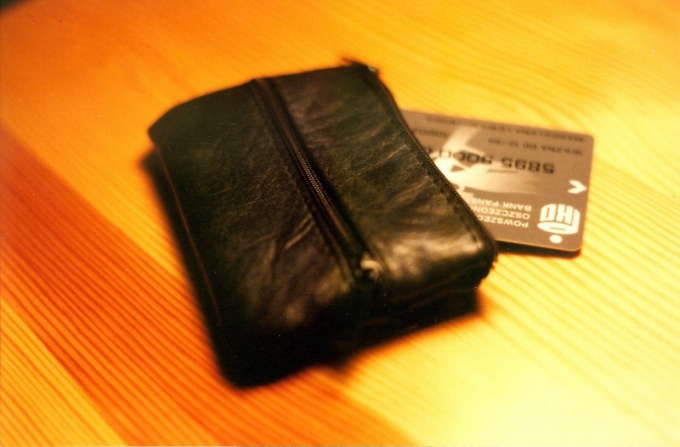 Many receive salaries, pensions, benefits for a Bank card. Not every user know how to know how much money on the card savings Bank. Ways to do this actually a lot. The easiest way to find out how much money on the card savings Bank, in a special ATM. This would require the card itself and the pin that you received in the envelope along with the plastic. The same operation can be done, if we turn to the statement in the savings Bank Department, but in this case, the employee may request and even a passport. If you go outside you don't want, call the Bank toll-free number 88005555550. The automated system will prompt you to enter you card number with the telephone keys and follow the instructions. So you will be able to find the balance. In problematic situations, wait for the connection with a specialist help line. Very easy to learn how much money on the card savings Bank, through a personal account. It is necessary to obtain the passwords to access via an ATM or by a specialist in the Department. To use your personal account, you should go to the website online.sberbank.ru and enter the appropriate information. 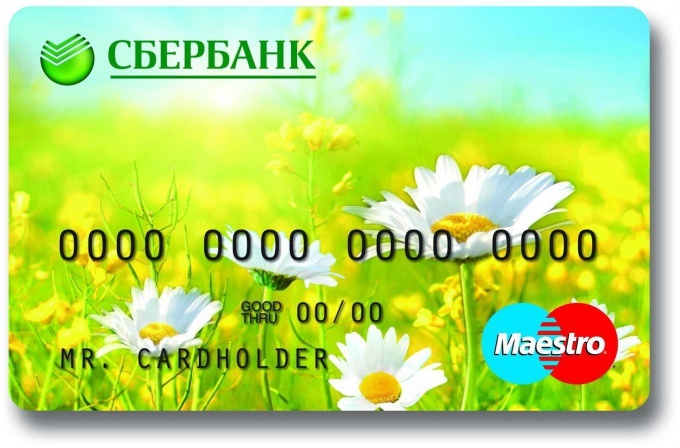 If you have a smartphone, obtain information about the balance of the card of Sberbank it is possible in the application. For this you need to download and install previously connected service "mobile Bank". To find out how much money on the card savings Bank, by sending an SMS to number 900 with the word "balance". In response you will receive a message with the balance on the card. The service works when connected to the mobile Bank. Always pay attention to the address of the site on which you are upgrading. On the Internet a lot of scams that fraudulently want to get your passwords. Please note that the information on the card balance at ATMs of other banks may be applicable.